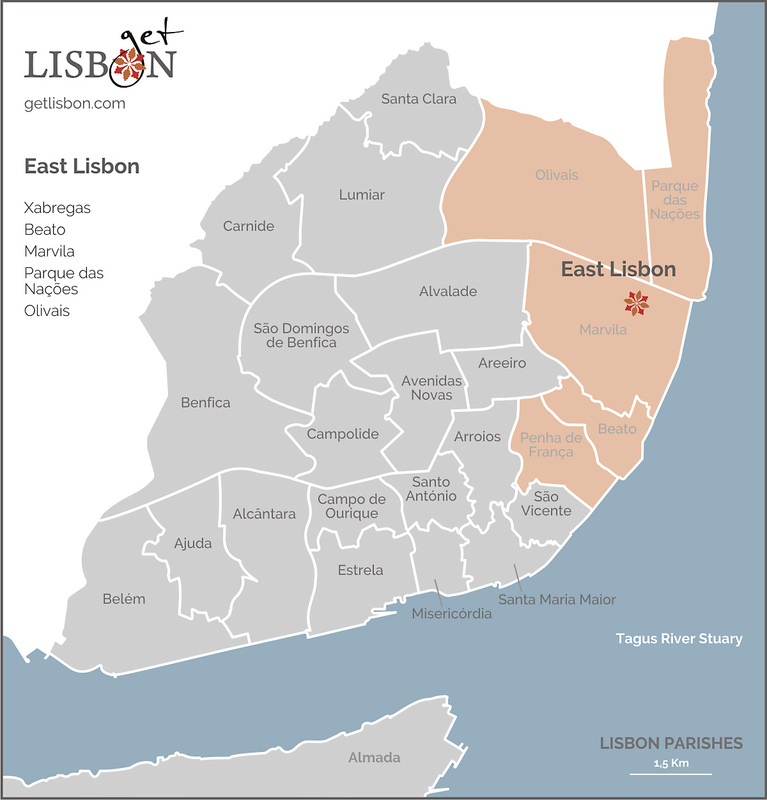 In East Lisbon, getLISBON covers the entire eastern riverside area, corresponding to the current parishes of Penha de França, Beato, Marvila, Parque das Nações and Olivais. This area was a vast territory that King Afonso Henriques donated to the Religious Orders after the conquest of Lisbon. Here several convents were set up on vegetable gardens, orchards, olive groves and cereals farms that supplied Lisbon. Over the years, the riverside extension still had the power to attract the nobility that settled here, on summer farms. Later on, in 1834, with the extinction of religious orders, the convents were gradually abandoned and quickly the industrial installation was extended to this area. The reading of our article on West Lisbon gives a brief picture of the industrial environment of the western area of Lisbon. At the beginning of the 20th century, the factory environment attracted workers and moved the nobles away. Factories and warehouses were a constant along the riverside. Raw materials and finished products were transported between banks on faluas and varinos (traditional boats, popular in the last century and iconic in the Tagus River). The people who worked there lived in bairros operários (a neighbourhood attributed to workers) built in the courtyards of the old palaces. With the construction of the landfill and the expansion of the Port of Lisbon, the riverside area was transformed. The river became now further away, and the container parks that emerged in the meantime, separated the population from the Tagus River. During the 1960s and 1970s, Lisbon turned its back to the river and expanded to the North. 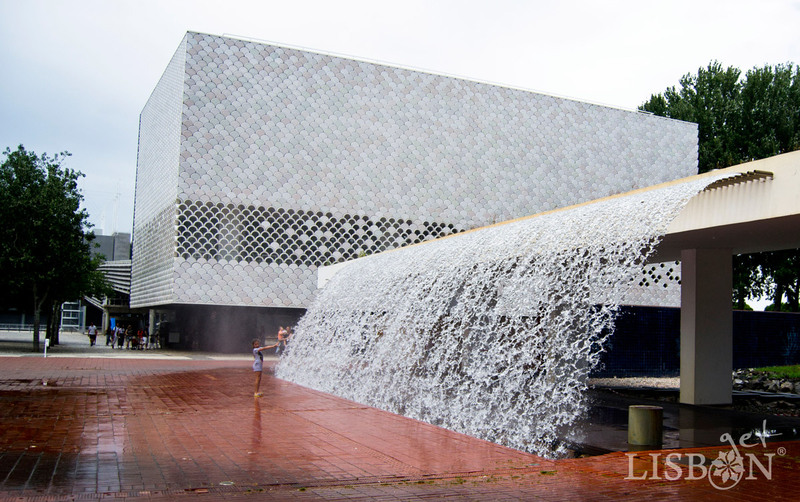 But the project of the Lisbon World Exposition 98, under the motto of the Oceans, rescued the old and intimate relationship between the alfacinhas (a term to denote a person from Lisbon) and the river. The entire degraded area was rehabilitated and transformed, to give place to the big event, where the encounter between nations was unforgettable. In a subsequent phase, the whole space was adapted to a residential and leisure area, surprisingly pleasant. But what is there of interest to our readers? Get to know one of Santiago’s paths. 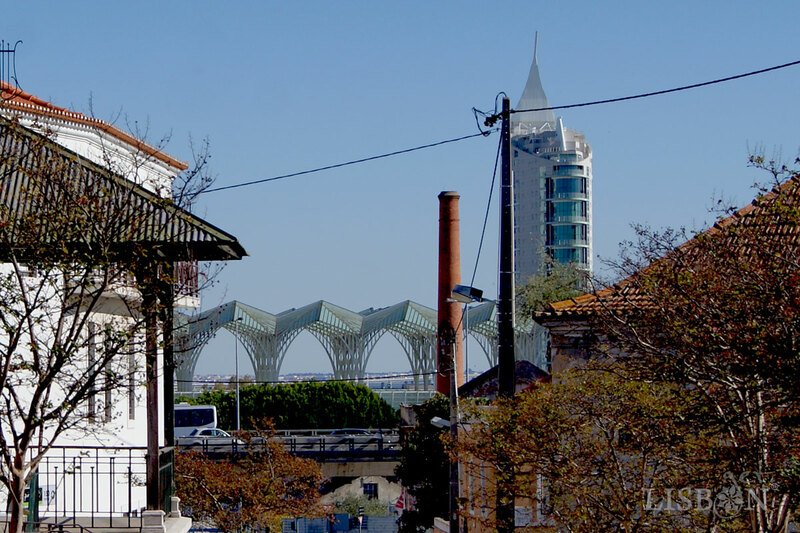 And many other interesting particularities that getLISBON will show you.